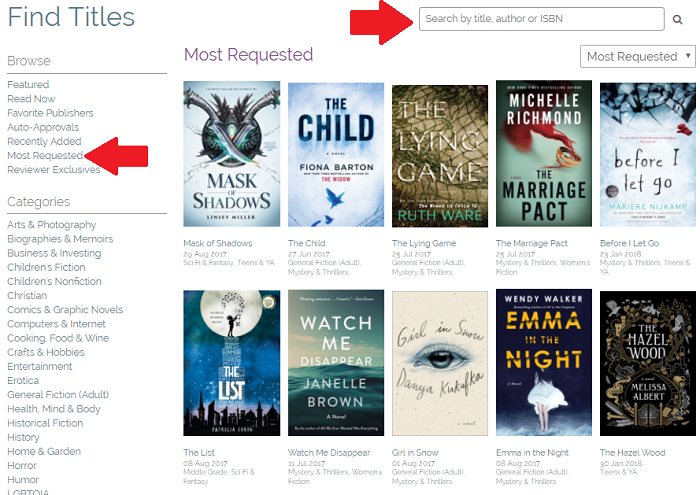 I've had a few people ask about NetGalley before and while I am 100% not an expert or the person with the most NetGalley reads, I thought I would do a quick post on how to use NetGalley. Getting started and how to get the most out of it. If you don't know what NetGalley is, basically it's a way to get free e-books. I mean, what more do you need to know? So. First off, what exactly is NetGalley? As I noted above, it's a place to get free books. Mainly before they are published. Fill in your info - you're going to be a member/reader (unless you want to register as an author or publisher, if so I have zero experience there). Down the bottom it will ask you what type of reviewer you are. 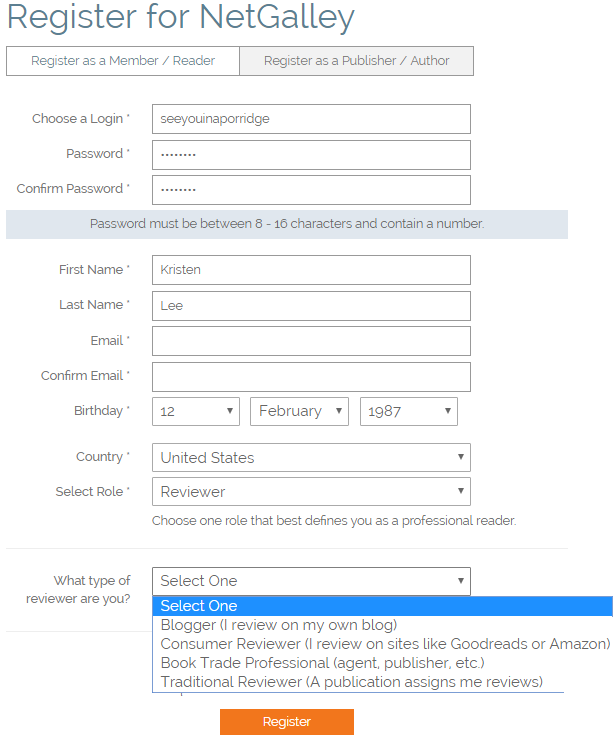 As you can see, you can choose to just post on goodreads/amazon etc, even if you have a blog. It's up to you. I don't know if bloggers get approved more or not, you can always change it by editing your profile down the line. Once you sign up, you'll have to verify your email. Then you are good to go! This is your profile. I've pointed out a few things I think are important. Up the top right hand corner is your name/profile picture. This is how you will get to your profile. The edit button is how - you guessed it - you edit your profile. The feedback ratio is the amount of books you've been approved vs the amount of books you've sent feedback for. That will come up again later. Lastly, your bio is important. I filled in my info to show you below. 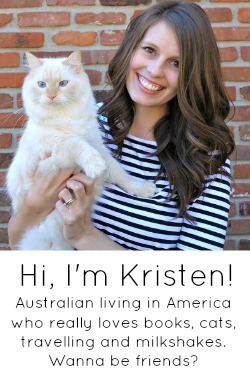 Brief bio, link to blog and goodreads. I only did it like this to show you, in your own, you should provide more information. For example, how many followers you have that might see your reviews. If you use affiliate links, perhaps you know how many people click or buy books after you post about them. NetGalley actually has some profile suggestions here. Next up, you're going to click on reading preferences. 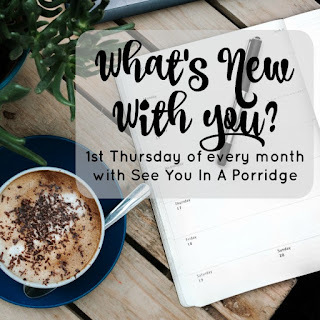 This is where you will choose categories that you're interested in seeing, and of course, how you link your kindle to your NetGalley profile. To add your kindle email please check out this article. It is really very simple. If you don't have a kindle, don't worry, it works with the free kindle app as well. You can also download a protected epub. You can read with other devices, I just have no experience with them. Check the list out here. Okay! Now you are signed up and have connected your kindle (or other device). Now what? Remember that ratio I brought up before? This is important. Basically, it is your books approved vs books reviewed. If you had more books, your ratio would go down for every book you haven't reviewed. Does that make sense? Let me go and give feedback for the book I just received (more on that in a second). Ta-da! 100% feedback. Pretty snazzy. They recommend you try and keep it around 80%. The more books you have on your 'shelf' but haven't reviewed, the lower your ratio is. The less books you have on your shelf that need a review - the higher your ratio is. Hope that makes sense. Now. How do we request/get books? Especially when we have 0 reviews or a low ratio. I'll share a secret. It's not really that big of a secret. Click on 'find titles' and then 'read now'. Alternatively, click straight on the category you are interested in - children's fiction, literary fiction, horror, humor, etc. 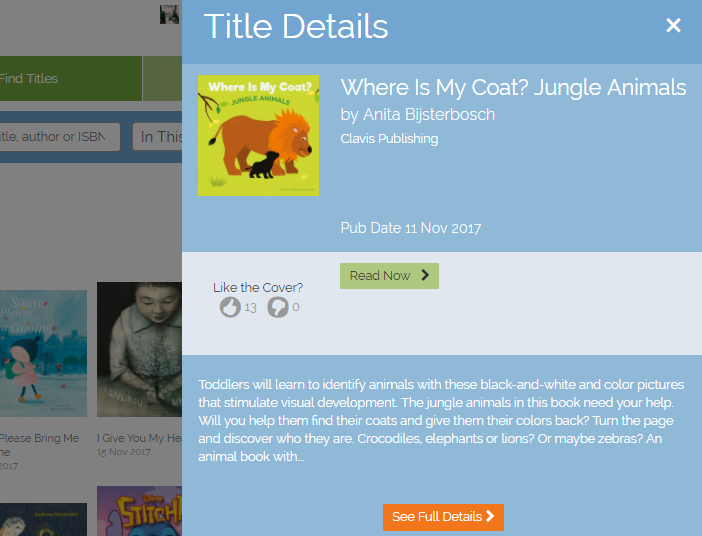 I clicked on children's because kids books are super short, that way I can actually read them before giving feedback. Once you're in the category you want to be in, click on read now. Once you are in the 'read now' section, you can read any book in this section. This is a great way to get your ratio up without having to wait to get approved. The higher your ratio, the more likely you will get approved for other books. Click on the book you want to read. Once it pops up, click on read now. Then it might ask you why you're interested in the book - cover, author, etc. You can tick any of those or just hit read now again. Then this page will pop up and you'll notice a couple of things; the orange 1 next to 'your shelf' for starters. This means you have a book on your shelf that needs to be downloaded or sent to your kindle. 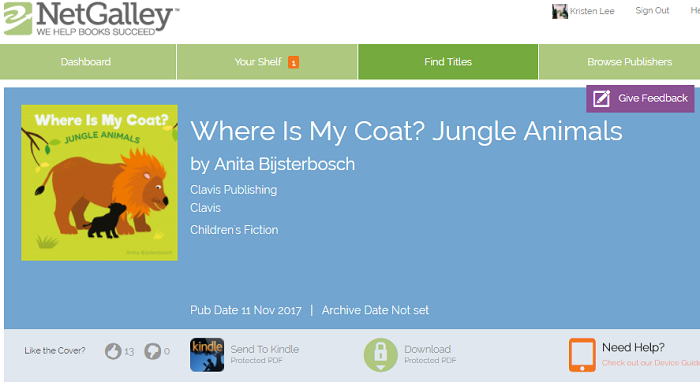 You can send a book to your kindle or download it from the page that pops up (above) or if you are logging in at another time and not on the book specific page, click on 'your shelf'. 'Your shelf' is also where you can see the books waiting for feedback, books you've sent feedback for, and the 'not active' books. Not active means books you were declined for (boo) or pending approval. Once you've downloaded the book or sent it to your kindle, it's on your shelf under 'give feedback'. 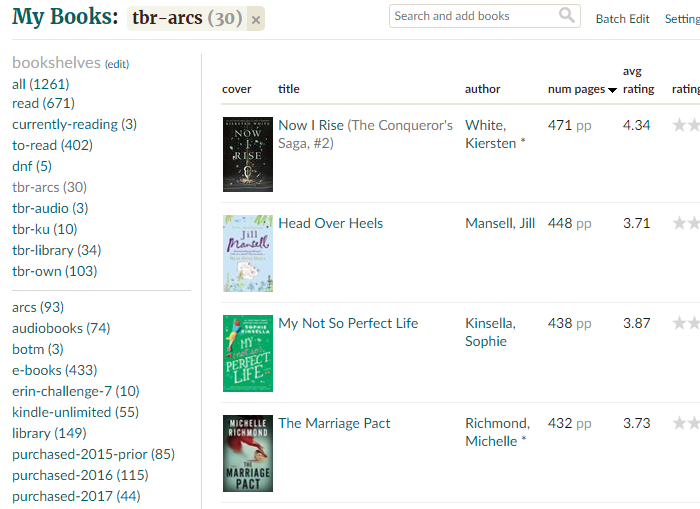 When you click on 'your shelf' it will actually take you to this tab, rather than the 'start reading' tab -unless you have a book that needs to be downloaded. Once you've downloaded the book, it's yours. It won't disappear from your kindle. However. See that archive date? For this particular book, it doesn't matter, but if you get a book that does have an archive date, you must download it before the archive date otherwise you will lose it. Generally, I try and read books and publish reviews around the publish date. Key word here is 'try'. Some publishers will actually send you emails asking you not to publish a review too far in advance of the book being published. I kind of accidentally ignore that most of the time - I'm almost always behind on my list so I don't have to worry about it anyway, but still. Something to keep in mind. Now, remember that feedback ratio? We now have 2 approved books, but only 1 feedback. Lets check out the ratio (I feel like I'm on a tv show or something). As you can see, my ratio took a hit when I got that second book. Once I review it, my ratio will go back up to 100%. Once you have more and more books, your ratio will not take such a big hit every time you get a new one. I know several people who've done the 'give feedback' without actually even reading the books, that's totally up to you if you want to do that to get your ratio up quicker. Once you've given feedback for a bunch of 'read now' books and your ratio is nice and cushy, you can go head on over to the 'normal' books where you have to get approved. Now, you can start there if you want and skip the 'read now' trick altogether. It just might not work for ages because of your ratio/lack of reviews. - The Most Requested tab. I just browse this tab to be honest. 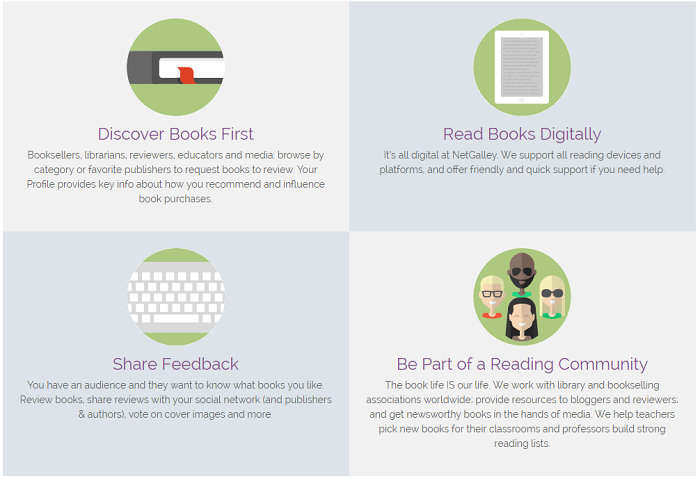 Olya has a great post on how to get the best books with NetGalley once you get started. When you find a book you want to request, click on it once and the details will pop up. Like the 'read now' books, you'll hit request and it will ask you why you're interested. I normally tick all of them because it's normally true. Once you've hit send request, it will be pending. 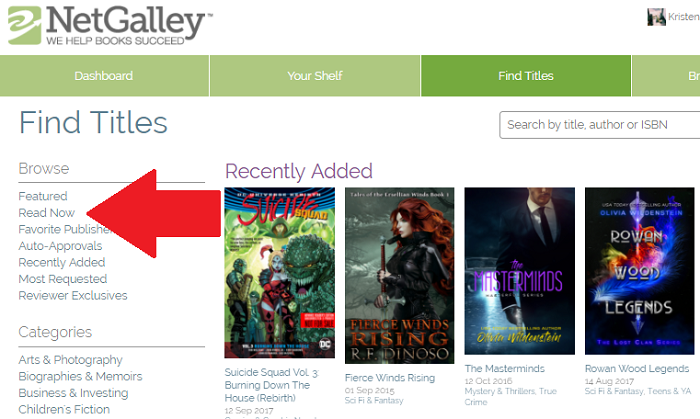 You can continue browsing or stare at the screen until NetGalley approves you. I don't recommend this, though I've done it before..
Now, requesting a book does not affect your ratio. It's only when that request is approved. Here is that 'not active' screen I was telling you about before. Generally, I get emails when I am approved for books, and about 50% of the time I will get an email that I've been declined. I try not to let it hurt my feelings too much, I can always get it from the library or something. Once you've read a book, you will 'give feedback' on NetGalley and any other platform you wish - blog, amazon, goodreads etc. Sometimes publishers will email you and ask for links if you didn't include them. 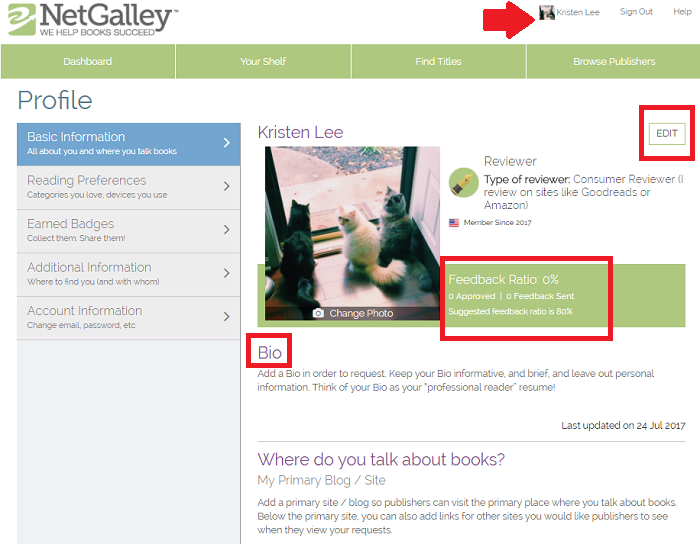 To give feedback, go to your shelf, find the book and click on the 'give feedback' green button on the right. 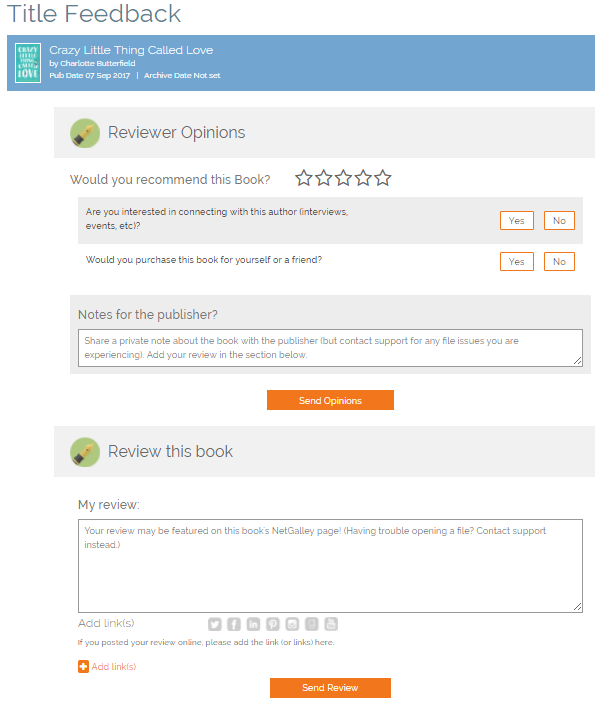 Basically you have two sections - star rating with 'would you be interested in connecting with the author or purchasing the book?' Once you've done those things, hit 'send opinions'. Then scroll down and this is where you put your review. I am not the world's best reviewer so I generally just talk about what I liked and disliked. Now - one last thing. 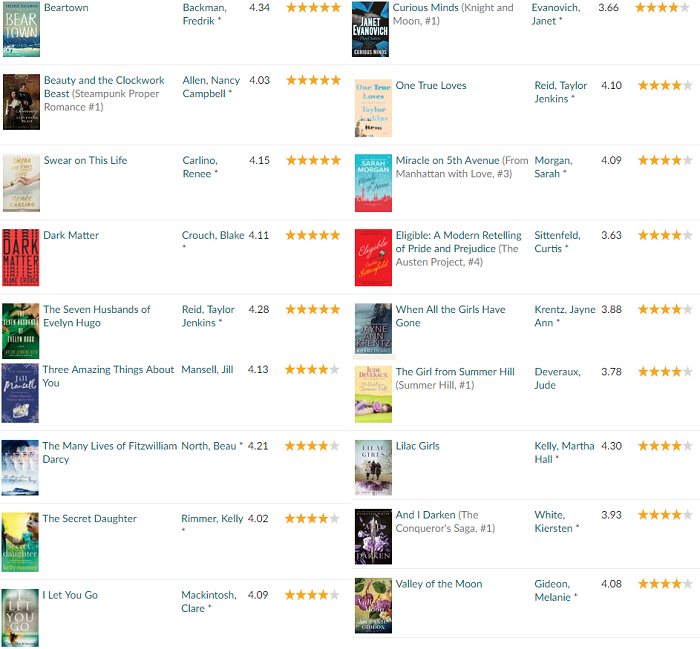 NetGalley obviously keeps a list going for you, but I also keep track of my NetGalley books on Goodreads. I have a tbr-arcs shelf and I also just mark things as arcs once I've read them. You can read more about my organisation weirdness here. I have read some really good books using NetGalley - and some pretty awful ones, too - but I totally think it's worth it and it's a great way to get free books. All you have to do is write a little review afterwards. Easy peasy. So I think that is about it. I know this is a ridiculously long post, and definitely not interesting unless you're new to/interested in NetGalley, but I hope it's been helpful regardless. If you're ever stuck, NetGalley has an amazing help section. I signed up for NetGalley a million years ago and I think I read one book and gave up. I want the popular books! lol. 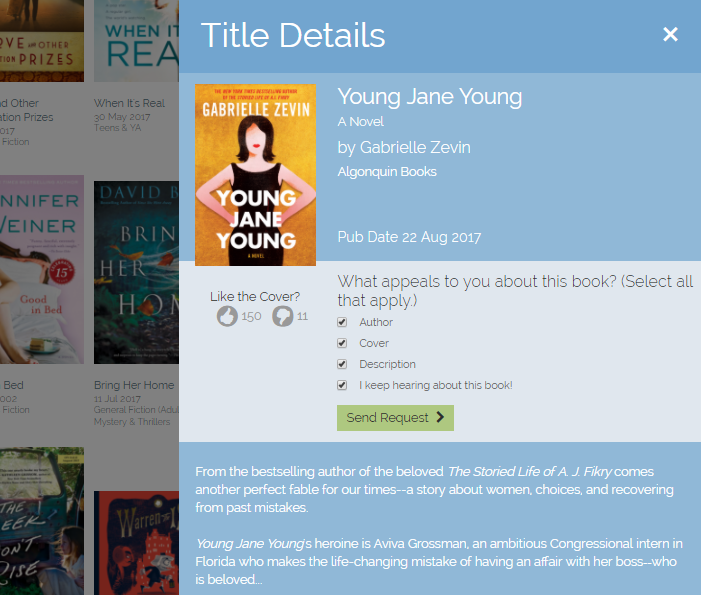 Does NetGalley do audiobooks? Oh - I needed this. I'm sure I have several books on my NetGalley list and I've reviewed maybe 3 or 4. I'll bet my feedback ratio is negative 22 ... Thanks for the tips! Oh my gosh, thank you so much for this thorough post! I see they have another book from my reading list so I need to get going on this. Just bookmarked this and thanks for the recommendations to other helpful articles as well! Wow. I've received a few PAPER ARCS from a different site whose name I cannot remember, but I don't have a Kindle. Any idea if a computer works, or if the Kindle app on my phone would work? If so, that may be bad news, you might find me sneak reading during work. I love paper books, but ARCs would be wonderful for traveling or sneaking pages in here and there but I don't want to lug around a 300 page hardcover book. Loooove netgalley- I've been so fortunate to read so many books I probably wouldn't have otherwise since I very rarely buy new books. I don't think I've edited my profile in ages, so I should probably go back in and see what it says. 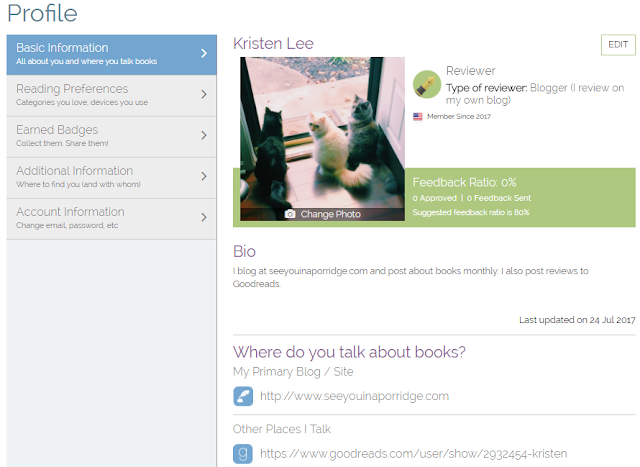 Do you always link your blogposts in the link section when you post your reviews? You're a good egg putting this together! Ummmm, thank you for this!!! Nadine has been bugging me to get on Netgalley forever to get books!! Love Netgally. I have a couple books to review as we speak. What a thorough post Kris. Love it! I have a love/hate relationship netgalley. Obviously, I love getting free books but on months where I read a lot of netgalley books, I noticed that my reading enjoyment isn't always the best. Some books are not great but I feel more obligated to read them than I do a book from the library. And yes, I have gotten deeply offended when I've been declined. :D Stupid, but it's always the book I really, really wanted. 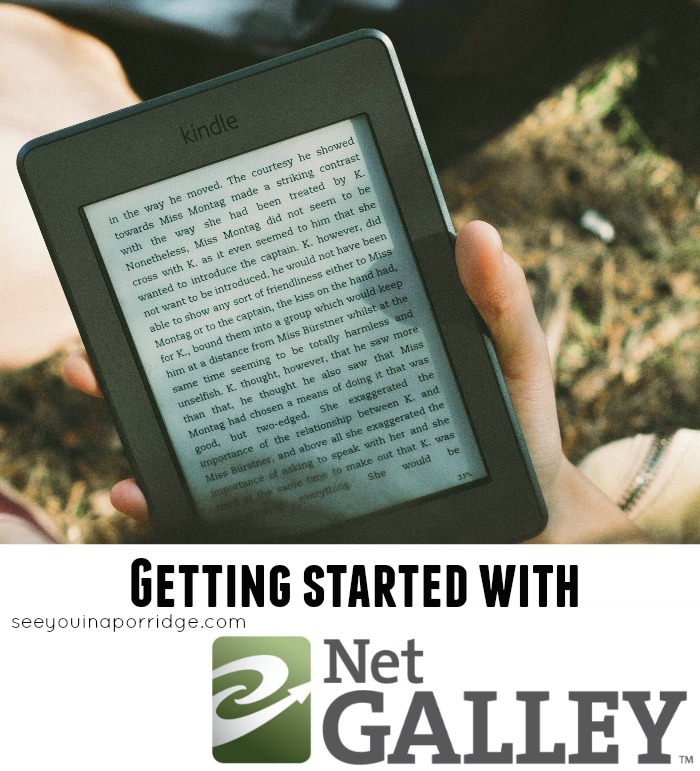 I know that this is so helpful for somebody that's looking to sign up for Netgalley. 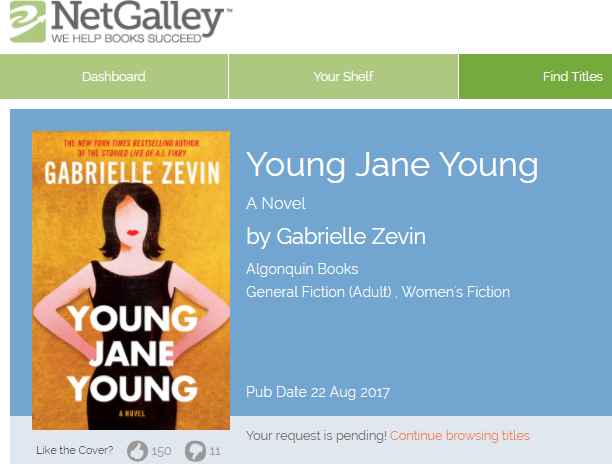 I think that you had another post that talked about Netgalley last year and I was so thankful because it helped me to get set up there! Young Jane Young is currently sitting in my way too big queue. I love NetGalley so so much. This is an amazing and thorough primer for it! I'm such a NetGalley fan. I usually request one or two books a month and it saves me so much money. The amount of money I spend on books is ridiculous sometimes. I love that you put this out there, I cant imagine how long it took you to write this post and screen shot everything. Look at you doing a good deed. I love Netgalley and I know I signed up for it ages ago because of you. I still try not to get my feelings hurt when I get rejected but like.....why you no like me??? That is what I always say when I get the ugly email lol. Pretty sure I'm signed up but I have a nook, not a Kindle. But now you've inspired me to download the Kindle App on my iPad and read some book there! This is a great post! 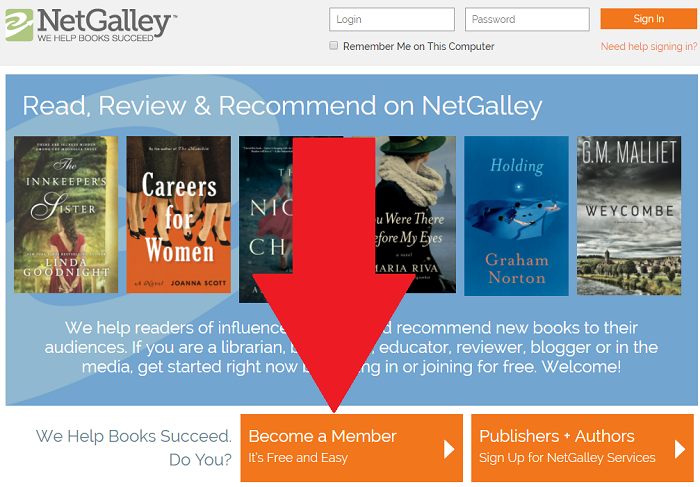 I've signed up for NetGalley but I've never used it! I should! I have never heard of this! Sounds like a great service! Who doesn't love free books?! I have heard of NetGallery but have never used it. I'm totally going to. Thanks so much for explaining it all. Great post, so very helpful for a novice like myself. 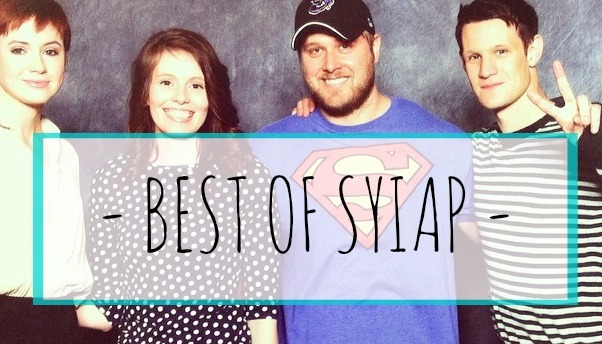 You know how much I love NetGalley (and thanks for the shoutout! ), though I'm really bad at it. I want to say I've gotten better about not requesting as much, but that would be a lie. Half the time I'm like why did I request that again? LOL. 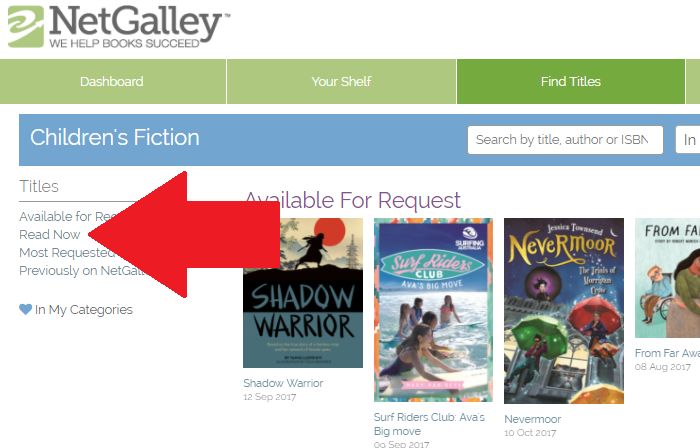 Awesome guide to NetGalley! It's a great resource and I've been able to read so many awesome titles through it. The only downside is the fact that I'm a slacker and I rarely keep up with it so my rating suffers. I've been getting back into reading books on my kindle though so hopefully I can bring the rating up. This post is amazing. I think I was first introduced to netgalley through you and let's just say I owe you! Such a great site and amazing part of the book community!! One thing I really need to improve on is writing more thorough reviews though.